Brock Baxter was born and raised in a small town in north central Kansas. Following law school, he and his family chose to lay down their roots in Wichita. 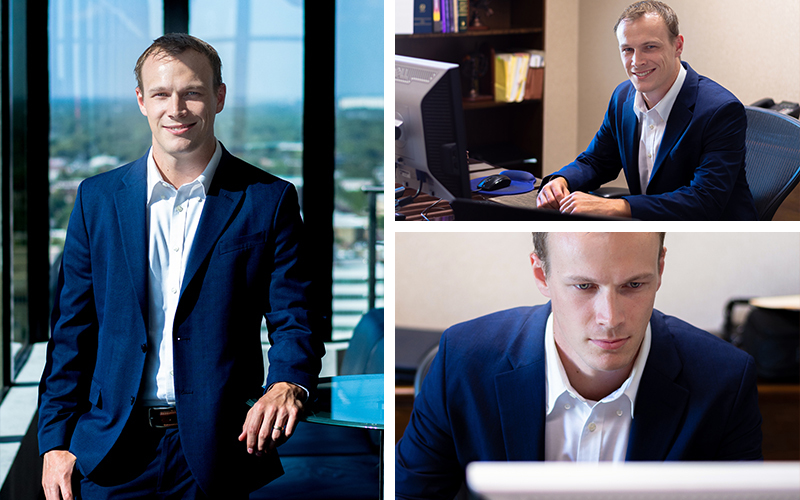 As an associate attorney, Brock is committed to obtaining positive results for his clients. He achieves these results through the values of hard work and diligence instilled in him from a young age. When Brock is not in the office, most of his time is spent chasing his two young children, Beau & Millie. He loves being outdoors and can often be found searching for a lost ball on the golf course.